The CEOs of 7 major retailers are headed to Washington to take on a proposed border tax. But it's not the tax on Mexican imports championed by President Donald Trump that has them worried. They'll be lobbying against the plan unveiled last year by Congressional Republicans for a broad "border adjustment tax" that could increase the tax bite on any company that imports goods. Retailers are particularly vulnerable to such as tax because they have to purchase the goods that they sell in their stores. And if they sell a lot of imported items -- clothes or electronics or general merchandise -- they could see a major tax hit under the proposal. The retailers are concerned that a border adjustment tax would raise their prices, which would hurt sales and profits. Related: Trump's tariff or tax reform - Which will Congress pick? The chief execs of Target (TGT), JCPenney (JCP), Best Buy (BBY) and Gap (GPS), as well as Tractor Supply Co. (TSCO), AutoZone (AZO) and Joanne Fabrics are traveling to Capitol Hill Wednesday, according to a source familiar with the lobbying plans. The CEOs will meet with House Ways & Means Chairman Kevin Brady, whose committee typically gets first crack at drafting tax laws, as well as leaders from both houses of Congress and both parties. Spokespeople for the seven retailers did not respond to a request for comment on their plans. But their trade group issued a statement confirming that retail CEOs plan to lobby on Wednesday. A border adjustment tax is not actually a tax or a tariff. It would be a fundamental change to the tax accounting treatment on imports and exports. In a tax system with border adjustment, companies would no longer be able to deduct the cost of their imported goods, which would raise the taxable income of any business purchasing imports. But sales of their exports would no longer be subject to U.S. tax, which would allow American companies to reduce the prices for products they sell abroad. That credit for exports could lessen the impact of the tax hit on imports for some manufacturers, such as automakers, who both import and export goods. But it has little upside for retailers who purchase overseas goods to sell here, but don't manufacture goods to sell elsewhere. Trump and members of his administration have yet to weigh on their view of a border adjustment tax. But during his confirmation hearing, Treasury Secretary Steven Mnuchin said that Trump doesn't want a broad border tax, but instead was looking at something targeted at companies moving jobs to foreign companies. 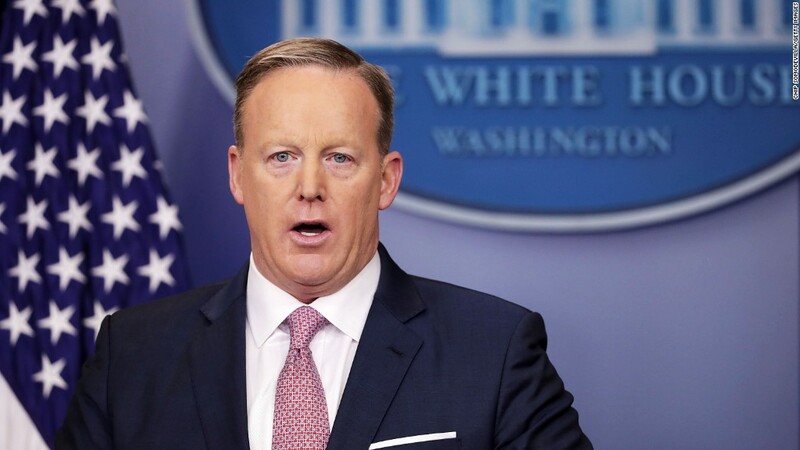 On the day Trump signed an executive order calling for a wall to be built along the U.S.-Mexican border, White House spokesman Sean Spicer suggested a 20% tariff on goods imported from Mexico could be a way to pay for the wall. Administration officials later walked back that idea.